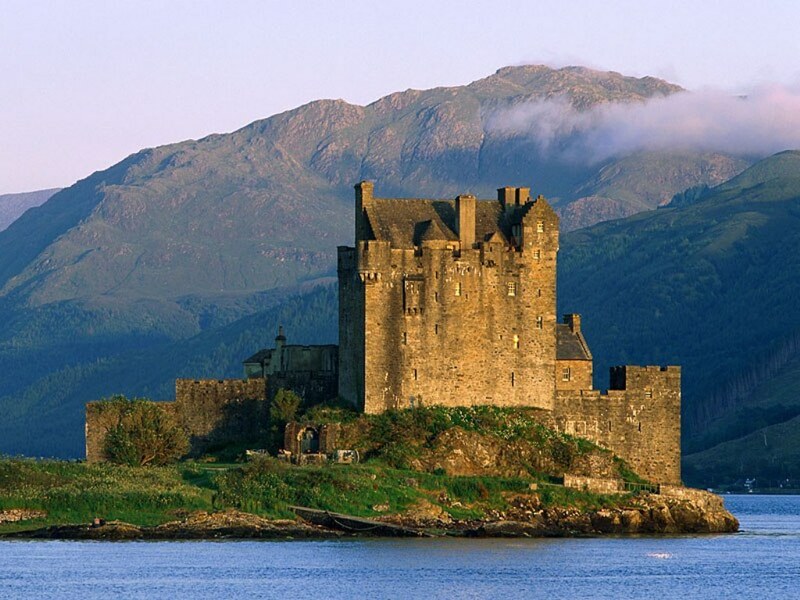 Probably named after 6th century missionary from Ireland Bishop Donan as "Donan's isle"
Eilean Donan Castle was a former stronghold of the Mackenzies of Kintail. 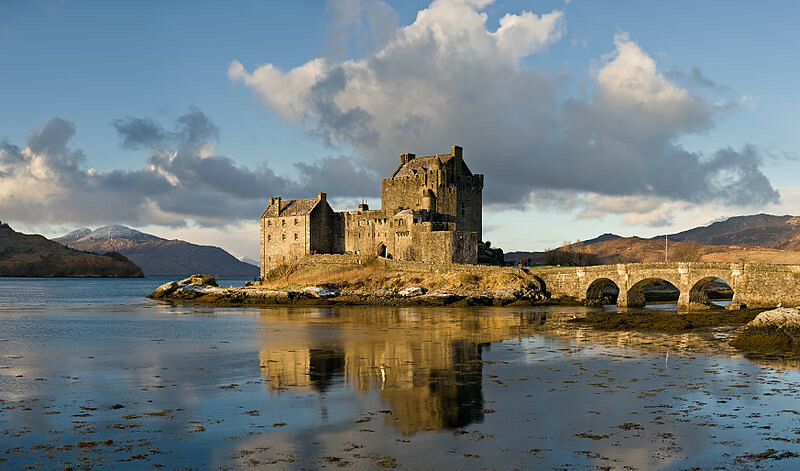 The castle was largely destroyed by naval bombardment and internal explosion in 1719 and by 1900 little more than a few fingers of shattered masonry still stood up. 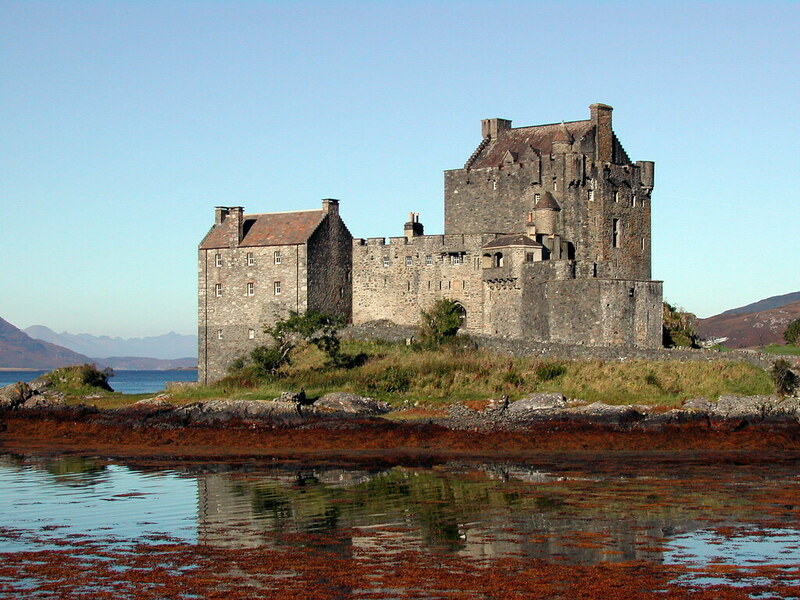 However, it was recreated between 1912 -32 , for Maj. John MacRae-Gilstrap by George Mackie Watson and stonemason/carpenter Farquhar MacRae of Auchtertyre, who is said to have forseen the appearance of the rebuilt castle in a dream. 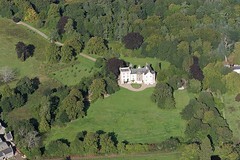 The result is a more a romantic reincarnation in the tradition of early 20th-century castle revivals although it does follow, more or less, the plan of the earlier castle as it was in its later phases, but uses much picturesque licence. 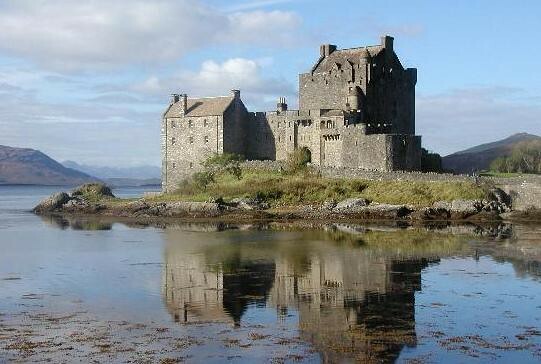 So the castle you visit may seem a medieaval castle, but in fact it is a medieaval castle seen through the lens of late victorian and early modern romance and picturesque. 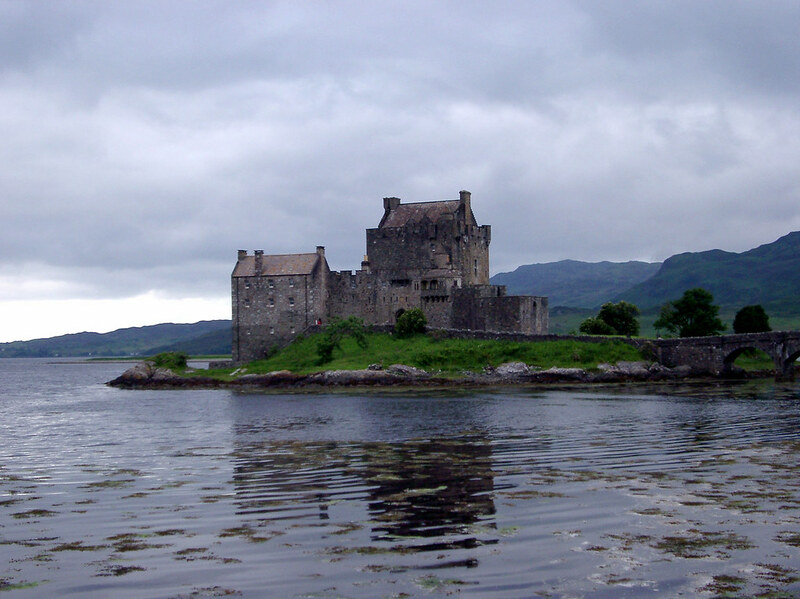 Its enormous popularity stems from the dramatic and romantic setting and its intimate scale when compared to many castles in Scotland. Its architectural style largely forswears the give-away victorian vernacular and baronial extras that are present in many other rebuilds of the period. 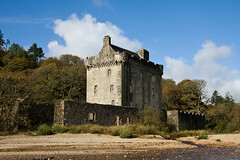 The main tower is a straightforward rebuild of the 14th century tower house. This was the dominant structure of the tightly composed 15th century defensive enclosure built over part of a much larger 13 th century enceinte (visible now only in fragmentary outline). 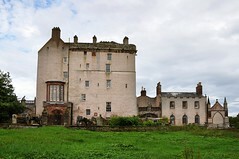 The castle's appearance in 1714 was recorded in plans and elevations drawn by Lewis Petit for the Board of Ordnance, but was not used as a source in the rebuilding. Only part of the L-plan block was recreated - as an austere crowstep-gabled house - while the south east building was altered and extended. 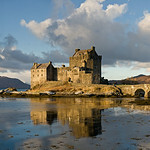 Mackie Watson introduced a much more elaborate version of the 17th-century entrance, and invented machicolations, bartizans, crude gothic-style windows, verandah, a seagate in the west curtain, and a three arched bridge to the mainland. He ignored the plain early 18th century aesthetic, yet omitted decorative mouldings where they were known to have existed. 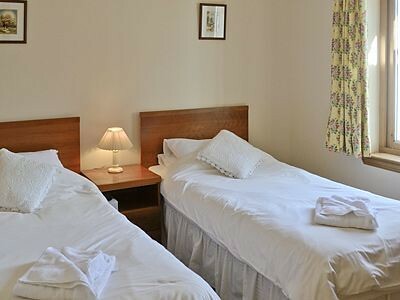 Inside the tower, the style is Edwardian baronial, with oak beamed ceilings, unplastered walls and a canopied 15th-century-style chimneypiece in the first floor banqueting hall. Two of three narrow loops are original. 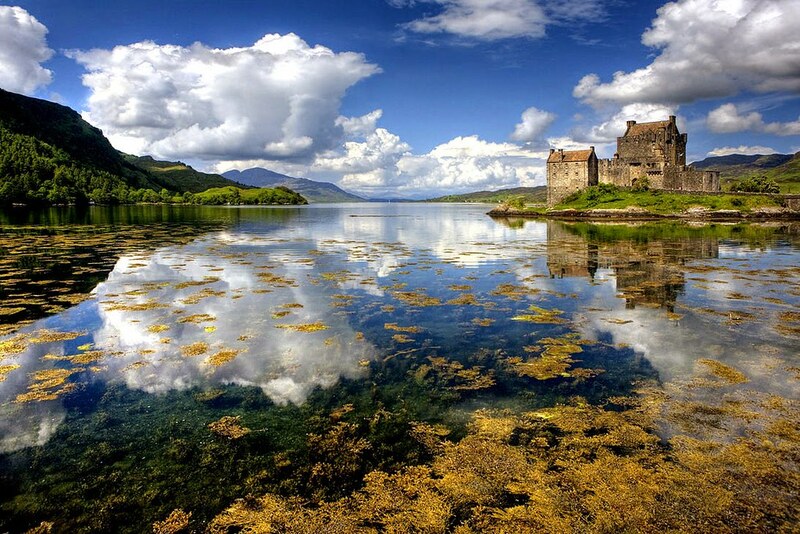 The name Eilean Donan, or island of Donan, is most probably after the 6th century Irish Saint, Bishop Donan who came to Scotland around 580 AD. 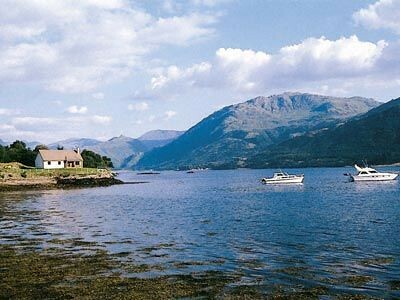 There are several churches dedicated to Donan in the area, and it is possible that he formed a small cell, or community on the island during the late 7th century although there is no architectural or archeological evidence. The island would have been an ideal location for a small cell. 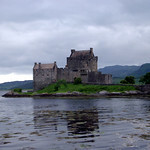 The first fortified structure was not built on the island until the early 13th century when it would have been constructed as a defensive measure, protecting the lands of Kintail against the Vikings who raided, settled and controlled much of the North of Scotland and the Western Isles between 800 and 1266. 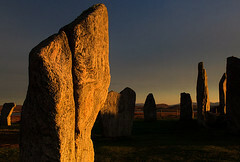 From the mid 13th century, this area was the quite seperate "Sea Kingdom" of the Lord of the Isles where the sea was the main highway and the power of feuding clan chiefs was counted by the number of men and galleys or "birlinns" at their disposal. 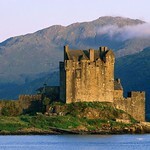 Eilean Donan offered the perfect defensive position. 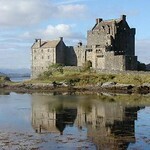 Over the centuries, the castle itself has expanded and contracted in size. 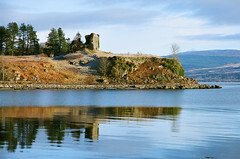 The medieval castle was probably the largest, with towers and a curtain wall that encompassed nearly the entire island. 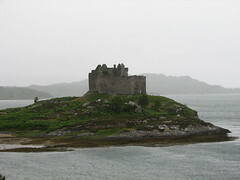 The main keep stood on the islands highest point. 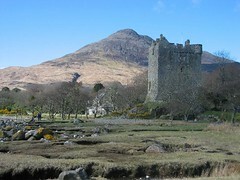 Around the end of the 14th century the area of the castle was reduced to about a fifth of its original size, and although the reason is unclear, it probably relates to the number of men required to defend the structure. 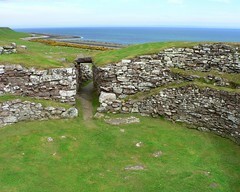 By the 16th century a hornwork was added to the east wall to offer a firing platform for the newly introduced cannons. 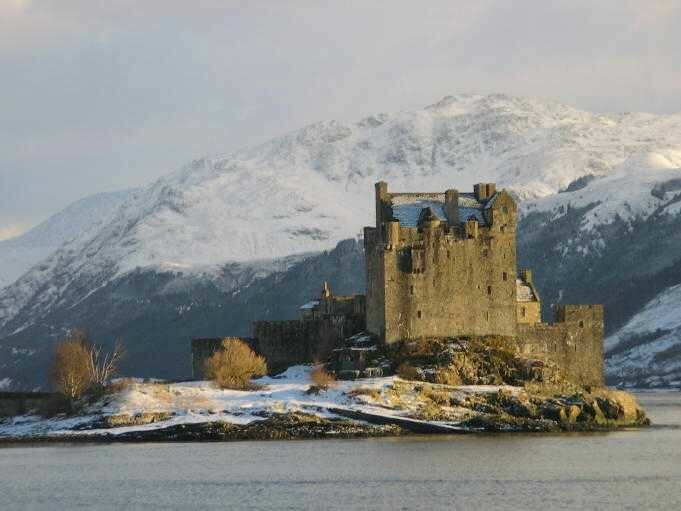 For the best part of 200 years, the stark ruins of Eilean Donan lay neglected, abandoned and open to the elements, until Lt Colonel John Macrae-Gilstrap bought the island in 1911. 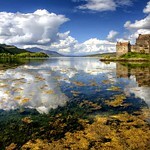 Along with his Clerk of Works, Farquar Macrae, he dedicated the next 20 years of his life to the reconstruction of Eilean Donan, restoring her to a new glory. 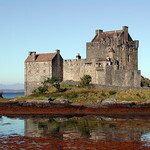 The castle was rebuilt according to the surviving ground plan of earlier phases and was formally completed in the July of 1932. Please note that in the first few weeks and the last few weeks of the season, the castle may close early, so please check by phone to avoid any disappointment. 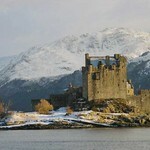 List of tours that visit Eilean Donan Castle from TravelScotland. 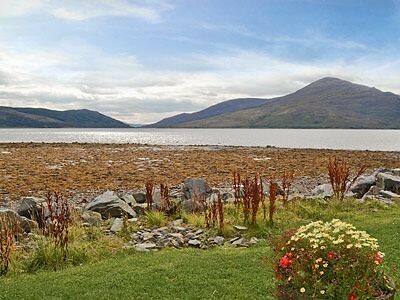 Wonderful location overlooking Loch Loch at the north end. 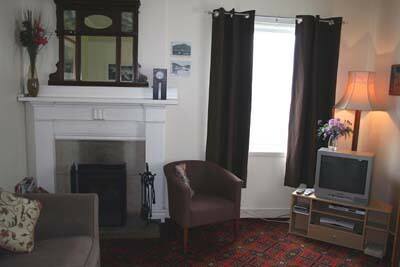 Sleeps 6 people in three bedrooms. No Pets. Wifi Available. 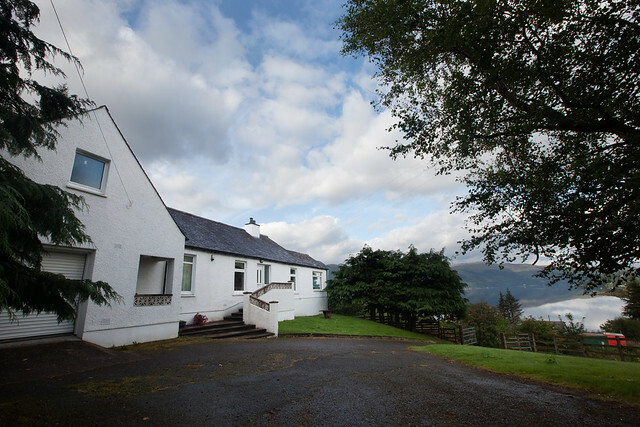 Wonderful remote location beyond Loch Long in the hills. Perfect for outdoor holidays. Sleeps four in 2 bedrooms. 2 Dogs Welcome. Wifi Available. 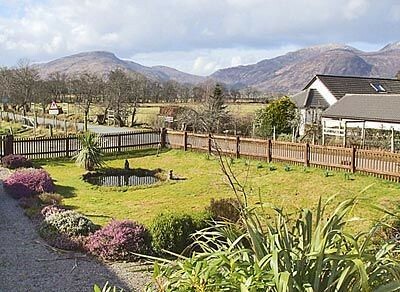 Single storey cottage on Loch Duich near Kyle of Lochalsh - good for Skye and NW Coast of Scotland. Lovely views. 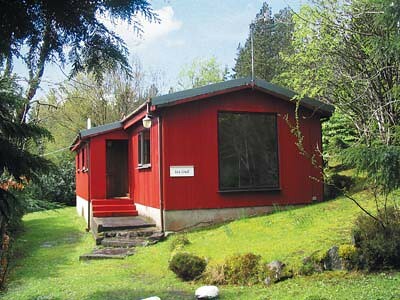 Sleeps 4/5. No Dogs. 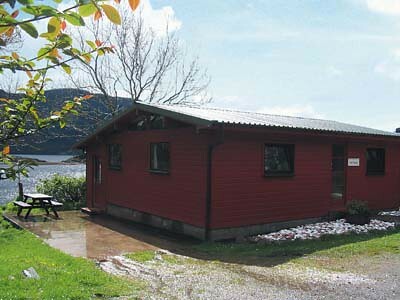 One of two cedarwood chalets in a private setting near the shore of the sea loch. 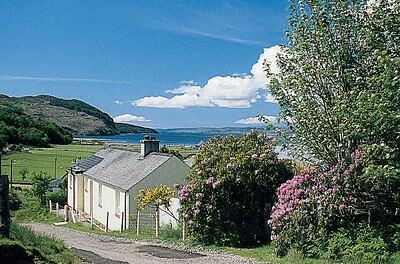 Within easy reach of the Isle of Skye, the chalets are also well placed for touring north to Applecross, Gairloch and ..